This week's 50% Discount Friday item is the Zen Table. 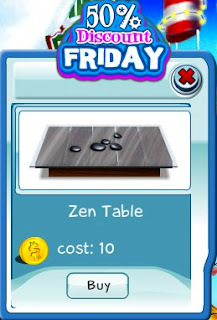 The very modern yet traditional Zen Table would look great in your penthouse or on your patio. Get this item today before the discount ends later today.